The federal inmate population has increased more than eight-fold since 1980, and the Department of Justice (DOJ) has identified prison crowding as a critical issue since 2006. DOJ’s Bureau of Prisons’ (BOP) rising costs and offender recidivism present incarceration challenges to both DOJ and the nation. DOJ has implemented three key initiatives to address the federal incarceration challenges of overcrowding, rising costs, and offender recidivism, which includes the return of offenders to prison after release. 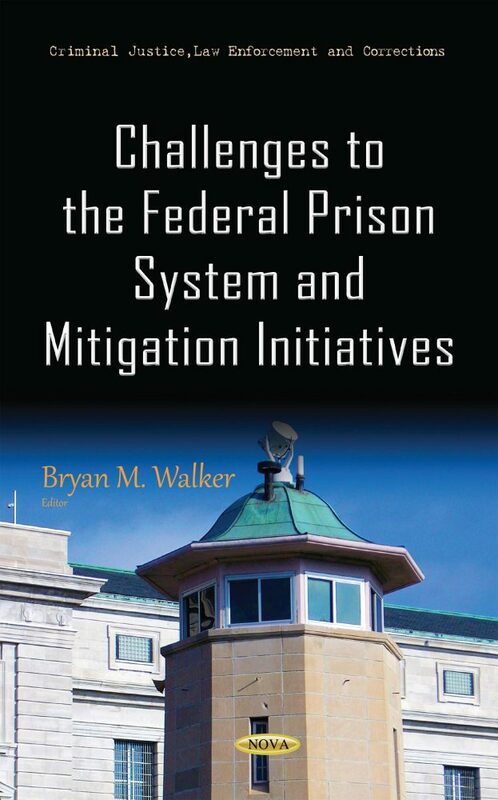 This book discusses DOJ’s initiatives to address federal incarceration challenges; the extent to which DOJ is measuring its efforts; and the extent to which DOJ is coordinating across its components to implement the Smart on Crime Initiative. Moreover, this book examines the 5-year post-release offending patterns of persons released from state prisons in 2005 by offender characteristics, prior criminal history, and commitment offense. It provides estimates on the number and types of crimes former inmates commit both prior to their imprisonment and after release. The book includes different measures of recidivism, including a new arrest, court adjudication, conviction, and incarceration for either a new sentence or a technical violation. It also documents the extent to which the released prisoners committed crimes in states other than the one that released them.